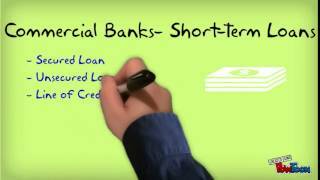 Unit 10 Short-Term Financing– Created using PowToon — Free sign up at http://www.powtoon.com/ . Make your own animated videos and animated presentations for free. PowToon is a free tool that allows you to develop cool animated clips and animated presentations for your website, office meeting, sales pitch, nonprofit fundraiser, product launch, video resume, or anything else you could use an animated explainer video. PowToon’s animation templates help you create animated presentations and animated explainer videos from scratch. Anyone can produce awesome animations quickly with PowToon, without the cost or hassle other professional animation services require.